The first few weeks after you’ve given birth are always hazy but one thing I’ll always remember is the gorgeous heavenly scent of a newborn child. You can’t quite place it, but you know the one and even once you’re done having your own children, you will still be able to identify it on others you are lucky enough to cradle in your arms. I’ve always wondered what it is, where it comes from and why it only seems to last for a short period of time. 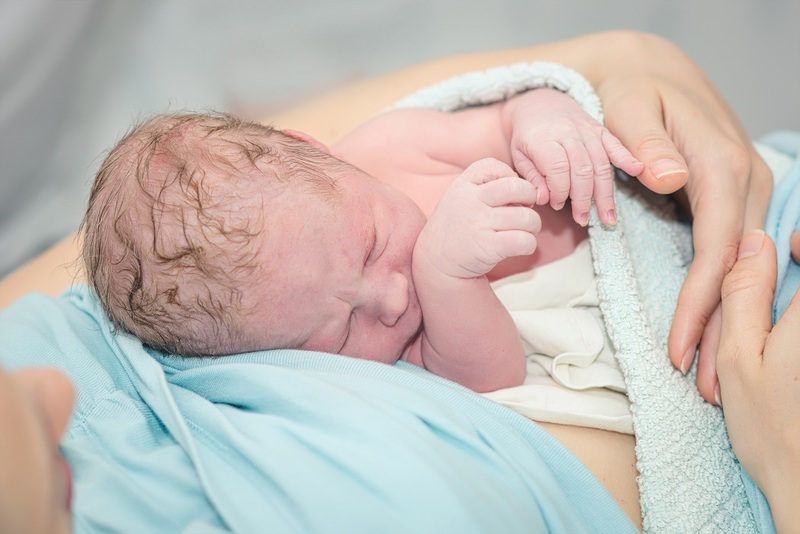 After a little investigation, it turns out that a study  carried out in 2013 in the journal Frontiers in Psychology looked at how women responded to the body odor of newborns. As part of the research, 30 women took part in a trial – 15 women who had never had babies and 15 who had just given birth. They were asked to smell newborns unknown to them who were two days old. Any guesses for what they found? Interestingly, it didn’t matter if the women had given birth or not – all the women. There was no difference in how intense, how pleasant or how familiar the they perceived the babies’ body odors to be. All of the women showed activity in the part of the brain that is activated when they are stimulated by actions such as eating a delicious mean or taking a drug. Scientists are certain about what causes the intoxicating baby scent but there are a few theories. Webseries SciShow host Michael Aranda suggested in 2016 that the “newborn smell” was connected to amniotic fluid or the vernix caseosa — the slippery white substance found on your baby at birth. It’s normally washed off soon after delivery but the odor may continue to linger on the baby’s hair and skin for several weeks after. Another suggestion is that the scent originates from chemicals secreted in the sweat glands according to analytical chemist, George Preti, PhD, at the Monell Chemical Senses Center. Dr. Preti told Women’s Health Magazine  that the scent only lasts for about six weeks because the baby begins drinking milk its own, rather than relying on nourishment through the umbilical cord. Although the study published in Frontiers in Psychology only included 30 women, the science seems to support the idea that infants arrive in this world equipped with tools required for survival, chubby cheeks, big eyes and a lovely smell that keeps mothers going in the midst of exhaustion, dirty diapers and recovery from the delivery. I do wonder what would have happened if they had used a control group of men to compare findings, because surely men also note the unique smell of their newborn child? The good news is that scent-based bonding is believed to be a two-way process. Findings in the 2013 research indicated that every sniff contained a range of complex signals for our brains to decipher, confirming that our bodies can relay a range of message about our stress levels and even signs of illness. Research published in ACTA Paedeatrica  concluded that babies also recognize and enjoy their mother’s scent and can also immediately feel connected to their mother as soon as they exit the womb via the vehicle of scent. Such findings only back up advice regarding immediate skin-to-skin contact straight after a mother gives birth. If you’ve ever tried putting an item of your clothing in your baby’s cot to help them settle down to sleep alone, you’ll be interested to learn that previous research has backed up the theory that babies show a preference  to clothing worn by their own mothers when they are in pain or distress. What’s even more fascinated is that a study  conducted back in 2006 even found that mothers are indifferent to the smell of their own baby’s poo in comparison to that of other children. Amazing. Now that my children are older, I frequently reminisce about the beautiful smell of my babies after nine months of morning sickness, exhaustion and challenging labors. If I could have bottled that scent as a memory of that special time, I would but in the meantime, I’ll enjoy cuddling other people’s precious newborns as a reminder of that wonderful scent that even today, experts can’t quite put their fingers on. Pure magic. Maternal status regulates cortical responses to the body odor of newborns. Starting the process of mother–infant bonding. Chemical communication and mother-infant recognition. My baby doesn’t smell as bad as yours: The plasticity of disgust.